At 17, he won a Trinidad Government scholarship to study abroad. In the introduction to the 20th-anniversary edition of A House for Mr. Biswas, he reflected that the scholarship would have allowed him to study any subject at any institution of higher learning in the British Commonwealth, but that he chose to go to Oxford to do a simple degree in English. 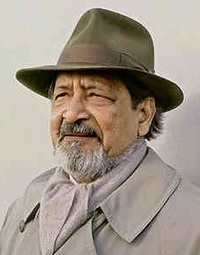 He went, he wrote, "in order at last to Naipaul was born and raised in Trinidad, to which his grandfathers had emigrated from India as indentured servants. He is known for the wistfully comic early novels of Trinidad, the bleaker novels of a wider world remade by the passage of peoples, and the vigilant chronicles of his life and travels, all written in characteristic, widely admired, prose. Vote for the August group read in our 'Beyond 1940...' category.